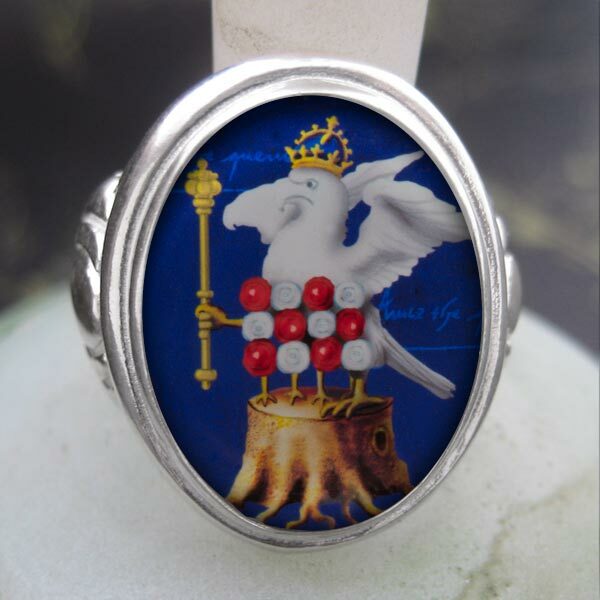 This beautiful, unique and collectible ring features our very own recreation of the falcon badge depicted in Anne Boleyn’s very own copy of “The Ecclesiaste”, which was created for her by her brother, George Boleyn. Tiffini has used Anne Boleyn's signature in the background. 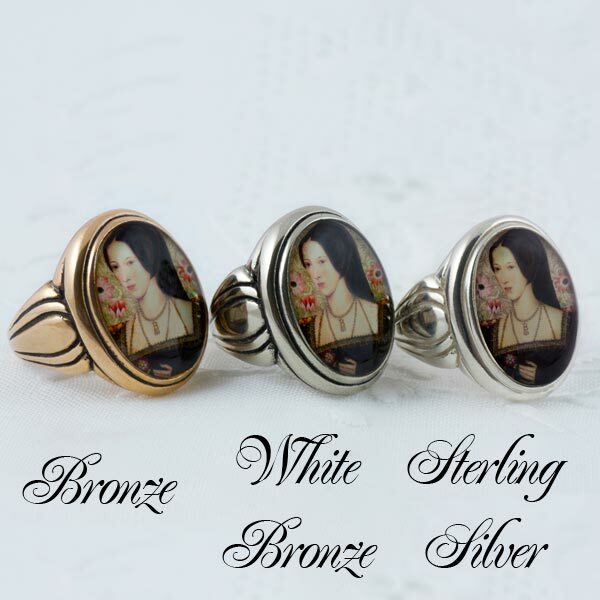 Set in an oval shaped ring cast in .925 solid sterling silver, antiqued bronze or antiqued white bronze. Bronze and Brass do sometimes react to some peoples skin leaving a green or grey color. A sterling silver or solid gold item may be a better choice for you if you think that your skin might react adversely to those metals. 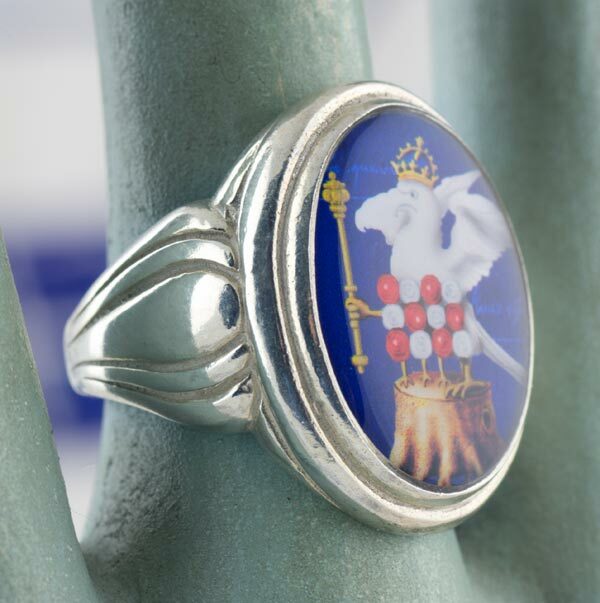 White bronze is a bit darker than sterling and offers one advantage silver does not, namely that it does not tarnish.